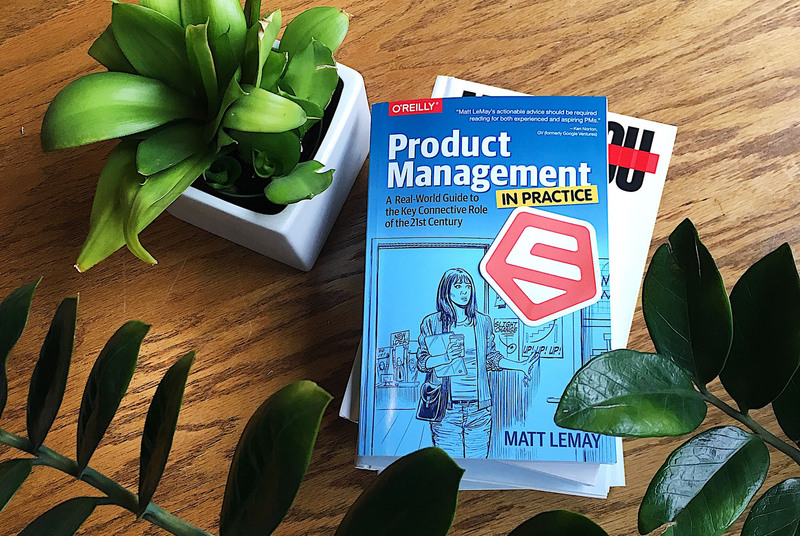 We just received our copies of O’Reilly’s latest Product Management title, Product Management in Practice: A Real-World Guide to the Key Connective Role of the 21st Century, by Matt LeMay. Leads PMs and isn’t sure how to support them. It’s a short book, so I’ll keep this brief as well. There are three things that I appreciated about this book. It distills insights and knowledge in an accessible way; it validates my experience as a product manager; it challenges me to identify areas for growth. Matt proposes a new skill model for product managers, which he calls CORE (Communication, Organization, Research, and Execution). He says, “because product management is a relatively new discipline, and because the role can vary so much from organization to organization, it is tempting to describe product management as a hybrid of other roles.” But it’s not that, and his CORE concept helps to re-frame the conversation. As a working product manager, your work can feel a bit all over the place. Each day’s tasks are pretty clear, but when you step back the big picture can be a little fuzzy. A lot of what is written about product management seeks to bring order to this chaos, which is a laudable goal. Product Management in Practice, though, stays true to its title and embraces the uncertainty of PMing IRL. It’s clear that Matt gets it, and his advice is based on deep experience. And let’s face it, even if you’re not looking for PM therapy, it always feels good to have your own experience validated so you know you’re not alone! This quote particularly resonated with me: “For all the books that I had read and all the methodologies that I had studied, the only thing I was left with when I sat back down at my desk was, “What the hell am I supposed to do every day?” … In theory, product management is a masterfully played game of chess. In practice, product management often feels like a hundred simultaneous games of checkers.” If you’re a PM, you’re nodding. If you’re not a PM, maybe you just stumbled onto our little secret! The book is organized around some guiding principles attached to each of the CORE skills. Matt returns to these concepts–“clarity over comfort”, for instance–again and again in different contexts. He also includes stories from product managers working in a variety of companies. He does a great job of gently pointing out the common ways we stray from these core principles, and suggesting how we can get back on track. Each chapter ends with a checklist of things you should make sure you’re doing. Don’t be self-deprecating. It undermines the ability to build alignment on the team. Create a document like “Good Product Manager, Bad Product Manager” specific to our organization. Use “disagree and commit” in meetings. Work on accommodating different communication styles. They’re not bad, they’re different. Socialize a “North Star” version of Agile during kickoffs. Document process changes and goals as a project progresses (maybe adapt the experiment template from this post, which outlines a structured approach to experiment planning). This is an accessible, entertaining book. There’s already a waiting list for my copy, so you’ll have to order your own from Amazon or O’Reilly. While you’re waiting for it to arrive, take a look at Matt’s post The Past and Future of Product Management.